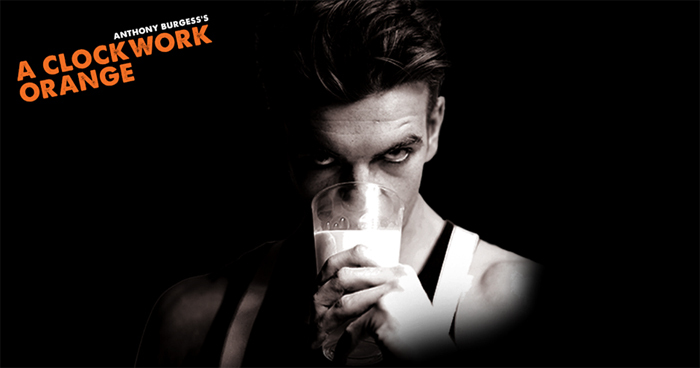 Action To The Word’s adaptation of A Clockwork Orange, with Jonno Davies playing the lead role of Alex DeLarge, was a huge success in Singapore. Prior to the performances Jonno and director Alexandra Spencer-Jones were busy with photoshoots, radio interviews and TV interviews for the Singaporean media. The play had been banned in the city-state for over 30 years. Performances were held in the huge and incredible 1,950 seat Esplanade theatre, one of the largest in the whole of Asa. Today Online, Singapore – Read the full review here. As soon as you’re introduced to Davies’ embodiment of the “original sin prowling town”, Alex, you’re immediately smitten. Yes, he has the brawns to boot, but what is electrifying about his performance is how deliberately sinister the actor is in every move. This is one man who acts even to his eyelashes — lush and laced with ‘guyliner’ — fluttering them as a means of intimidation to his opponent. Davies takes a lot of things in his stride — apart from getting spat in the face, he held his own and managed to project his voice when his mic went into disarray in a scene. Buro 24/7, Singapore – Read the full review here. As Alex, played by Jonno Davies, and his comrades bite, snarl and tear at each other, the all-male cast taking it in turns to be victim and aggressor, the unfettered frenzy stops parodying beauty and becomes beautiful, much like a shark feeding frenzy is riveting. The Straits Times, Singapore – Read the full review here. PopSpoken, Singapore – Read the full review here.